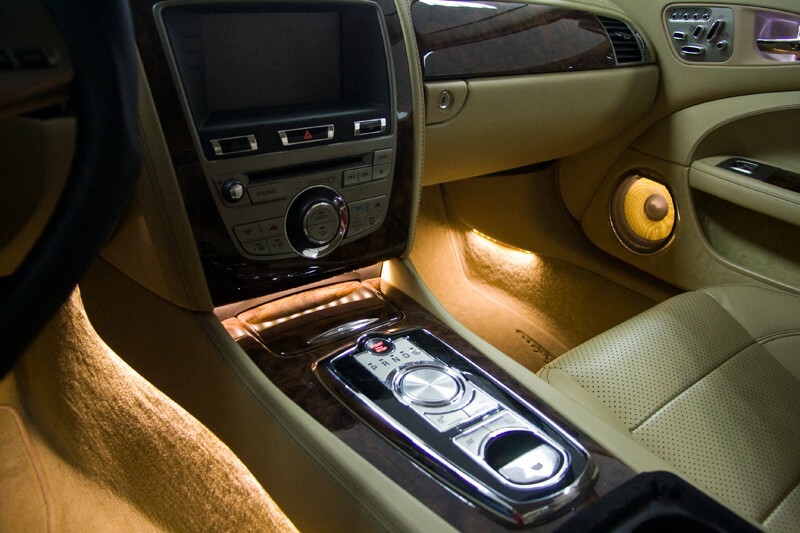 A special lighting system provides the interior of the vehicle with a very exclusive and independent look and through different colors matched to the interior, creates a very special ambience. The price is for the lighting of the entire front foot well and the center console. The package can be extended on request e.g. by the illumination of the door panels, engine cover and the boot. If requested, we would be happy to provide you with an individual quotation. Price includes installation.